What a great place to call home or enjoy as a second home on Maryland’s beautiful Eastern Shore. Surrounded by trees on the banks of Swantown Creek you will find Heron’s Reach a charming open floor plan, three bedroom, three bath Waterfront Contemporary. The main level has both an inviting living room and a cozy den each with its own brick fireplace. The recently renovated and expanded Kitchen and dining area are conveniently situated between the two. The large sun room with expansive glass and skylights looks out over the brick patio and the large in ground pool and is easily accessed from the sliders off the den. Upstairs you will find the large master bedroom with it’s in-suite bath and sitting room. The third bath and bedroom are also on the second floor. Grab a float and let your cares wash away as you relax in your beautiful pool complete with a waterfall and hot tub. When you are ready you can enjoy a leisurely meal on the brick patio while watching your neighbors swimming in the creek. If you are so inclined you can hop in your boat and go crab, fish or just take a leisurely ride down the Sassafras River. Fun things to do in the area include a visit to the Crow Farm and Vineyard. Taste their award wining wines and take home some grass feed beef. The music lovers can attend a lively concert at Worsell Manor Music In The Barn. Only two families have called this home. Heron’s Reach is now available for your family to enjoy. Call now, 800.757.7412, to schedule your visit and savor the tranquility of the Eastern Shore. Chesapeake City MD Waterfront Specialist - Rich Cotton Serving the Waterfront/Water Oriented Buyers and Sellers since 1989 in Elkton, Chesapeake City, Earleville, Cecilton, North East, Charlestown, Perryville, Port Deposit, Galena, Kennedyville and surrounding areas. 800-757-7412. Are you looking for that perfect retreat from the pressures of every day life? Then this home is a one worthy of your visit. Are you looking for a Waterfront Home that has magnificent views? Not often do Waterfront Homes come on the market with such breathtaking views. This three bedroom Waterfront Contemporary, located in Sunset Pointe, is an exception to the rule. The term “you can see for miles” is true, you can see for six miles on a clear day. The main living area has an open floor plan with a wall of glass on the waterside opening to a full-face deck with remote control awnings. The expansive living room, with its stone gas log fireplace has sliders that open to the deck. The large kitchen allows the cook to interact with the guests while meals are being prepared. The dining room adjoins the kitchen, and the comfortable and relaxing sunroom. Completing the main level is a large Master Suite, an in-suite bath with steam shower, a gas log fireplace and sliders to the deck providing expansive views of the Chesapeake. The lower level has a stone fireplace in the living room. You can access a sheltered patio on the waterside via sliders from this room. Two large and bright bedrooms anchor each end. All these rooms also enjoy views of the Bay. A full kitchen and office complete the lower level. A boat slip with lift at the community pier is also included in the sale. Visit Chesapeake City and March to see the Saint Patty’s Day Parade, complete with dogs, bagpipes, fire trucks, and Mummers. The 4th of July fireworks and boat parade are a must see in Georgetown Harbor. Come and visit to experience the Eastern Shore lifestyle. Presented by Rich Cotton http://waterfrontproperties.com. 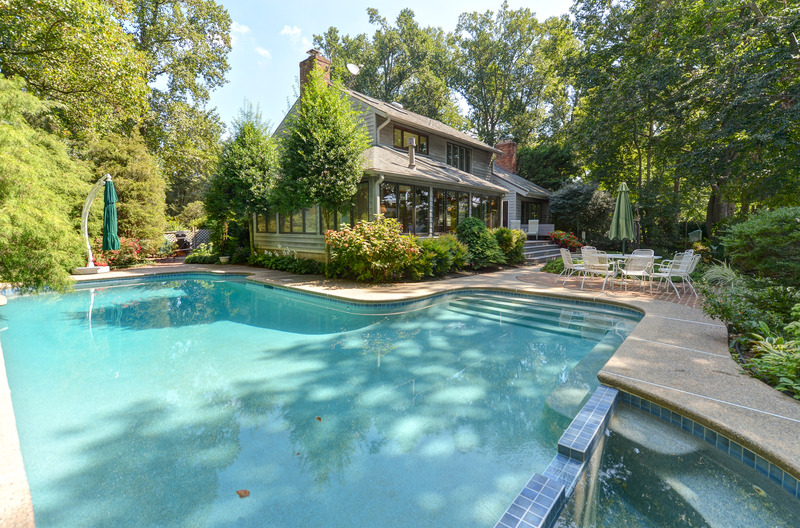 Sunset Pointe, a serene Waterfront community located on the Chesapeake Bay and Pond Creek, is home to only sixteen owners. Beautiful sunsets, sandy beach, nature area ,and community pier are its signature amenities. 320 Pond Creek Lane, a five bedroom 2 ½ bath waterfront home, exudes the charm of a bygone era. Built of brick and Hardiplank the home reminds one of a traditional style southern home with porches across the back for enjoying the natural surroundings. The first and second floors have Brazilian cherry hardwood floors and ceramic and porcelain tile throughout. The grounds are beautifully landscaped with many exotic plantings. Entertaining is always special in the chef worthy gourmet kitchen which features a DCS five-burner, double oven and griddle stove. Stainless steel appliances, granite countertops, cabinetry by Kraftmaid, center island and pantry round out the kitchen. The sun filled dining room and the spacious great room, with wood burning fireplace, have sliders that open to the full length porch. The second floor has the master bedroom and bath, another full bath and two additional bedrooms. All the bedrooms have sliders that open to the full length second story porch. A media room, fifth bedroom and office occupy the third floor. 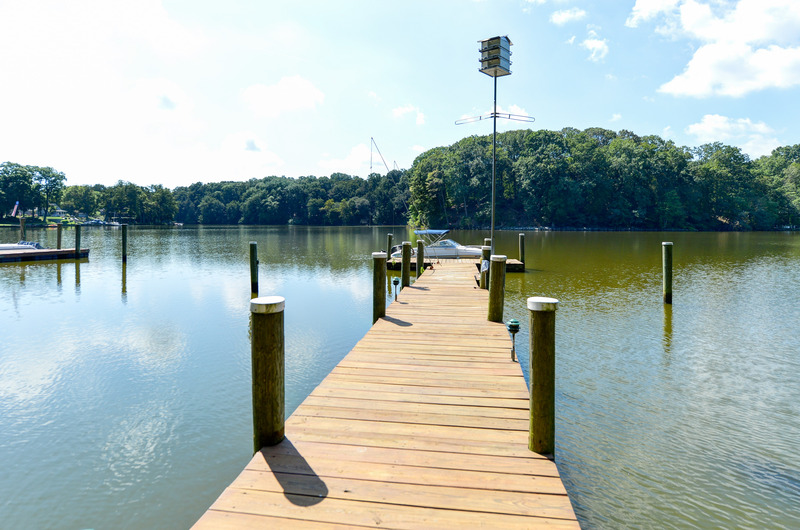 The boardwalk through the nature area leading to the beautiful community sandy beach and pier on the Chesapeake Bay is just another special feature of Sunset Pointe. Historic Chesapeake City with its unique shops and home to the C&D Canal is only twenty minutes by car. Watch ships from around the world ply the canal or grab an ice cream at the Canal Creamery. Just remember, enjoy the moment. This lot in Knights Island is one for a serious boater. Lot #16 is a 4+ acre partial treed Waterfront lot facing Southeast with 438' of frontage on the Sassafras River with Open Space on its easterly border. Amenities include a deep water 40' boat slip with electric and water, boat storage facility for a 28' boat, and 250 acres of community Open Space. Knights Island is really a peninsula. The Sassafras River provides the southern and western boundaries while McGill, Dowdell and Back Creeks are the northern boundaries. Back Creek is home to Mount Harmon, one of the original plantations in Cecil County. Every year there is a Revolutionary War reenactment and festival at Mount Harmon. It is definitely worth your time to experience this event. Rodger Firestone ,of the Firestone Tire Company, was the latest owner of Knights Island and had plans to build his dream home there. Firestone had a 68' Trumpy Motoryacht, Tireless built in 1963 and kept it on Back Creek. Chesapeake City is but minutes away and provides many shops and restaurants to visit. While enjoying a meal along the Canal watch as the ships of the world pass by. The C& D Canal Museum is also a great way to understand the history of the Canal. An opportunity like this does not come along often so make an appointment to visit Knights Island Preserve today. If you are a boater this is the place for you! During the late 1700’s Knights Island was the home of John Leach Knight a wealthy planter and father of the infamous Catherine (Kitty) Knight. Kitty has her place in history saving several homes in Georgetown from being burned in the War of 1812. Knights Island is really a peninsula. The Sassafras River provides the southern and western boundaries while McGill, Dowdell and Back Creeks are the northern boundaries. Two thirds of the Preserve is wooded and has many magnificent old growth trees. Rodger Firestone was the latest owner of Knights Island and had plans to build his dream home there. 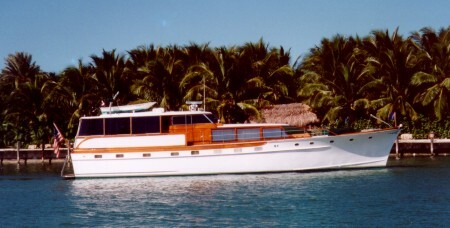 Firestone had a 68’ Trumpy Motoryacht, Tireless built in 1963 and kept it on Back Creek. 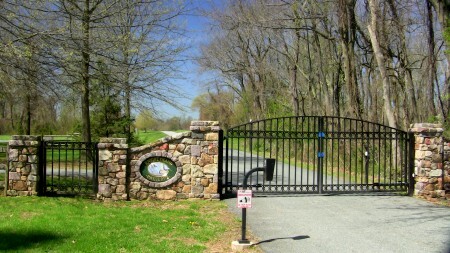 Today Knights Island Preserve containing 370+ acres with 22 Waterfront homesites, is the only gated community in Cecil County. There is a full-time manager whose home is immediately inside the gate. He provides security for the residents and maintains the Open Spaces. North American Land Trust owns and manages the 250+ acres that comprise the Open space and the Waterfront lots comprise the remainder of 128 acres . Lot #16 is a 4+ acre partial treed Waterfront lot facing Southeast with 438’ of frontage on the Sassafras River. Amenities include a deep water 40’ boat slip with electric and water, boat storage facility for a 28’ boat, and 250 acres of community Open Space. Come enjoy your neighbors, bald eagles, osprey, red tail hawks and deer to name a few. An opportunity like this does not come along very often so make an appointment to visit Knights Island Preserve today.